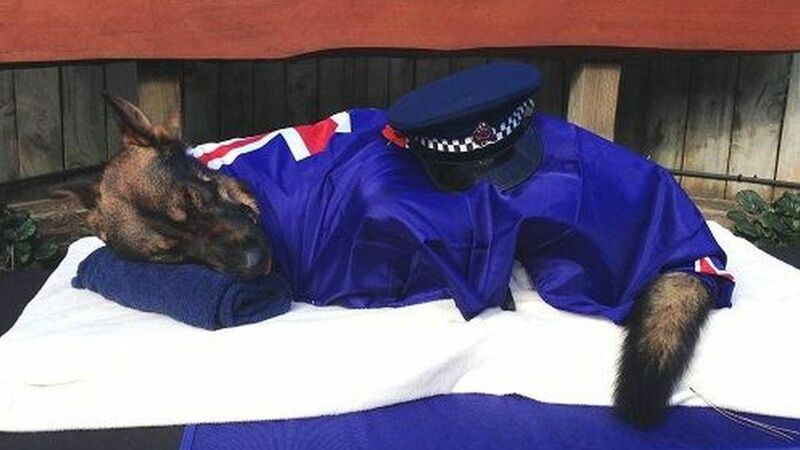 A police dog which was killed in action was draped in the New Zealand flag at its memorial service. Gazza, a four-year-old German Shepherd, was shot during a siege in Porirua on the North Island last Friday. The police dog was killed by a man called Pita Tekira, a former prisoner who’d been on the run after throwing away a bracelet being used to monitor him while he was on bail. He’d been holed up inside a house for 26 hours before being found dead. As well as the police dog being shot, a policeman was seriously injured after being forced to jump out of second floor window to get away from Pita Tekira. Wellington District Commander Superintendent Sam Hoyle said: “Despite all our efforts to negotiate with Mr Tekira to seek a safe end to the incident, officers found him dead at the scene. “This is certainly not the outcome that anyone wanted, and our thoughts are now with his whanau as we continue to investigate the circumstances of his death. Gazza was bred at the police dog training centre at Trentham in New Zealand. He graduated as an operational dog in late 2013 with his handler, Constable Josh Robertson. Gazza was choked by an offender last year after tracking him for more than two miles through Wainuiomata, outside Wellington. 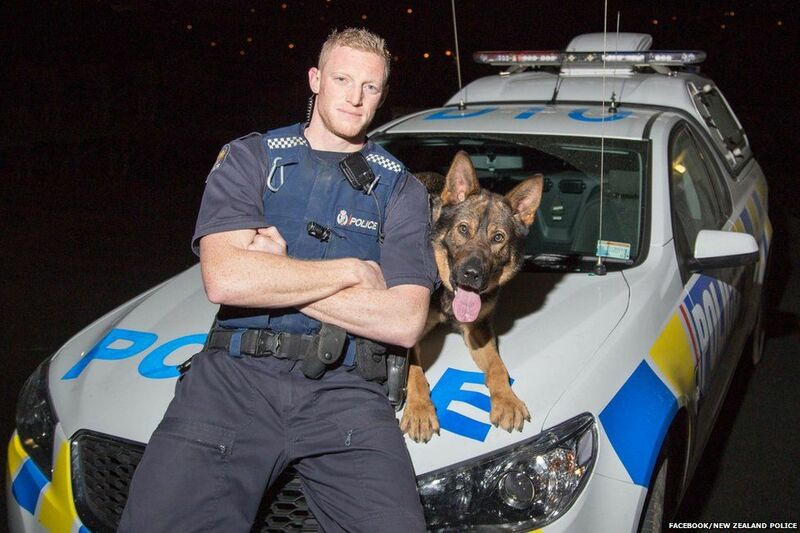 The animal is the 24th New Zealand police dog to have been killed on duty. He’s the most recent death since another dog called Gage was shot and killed in Christchurch in 2010. Gazza is the seventh police dog to have been fatally shot since 1972. A tribute on the New Zealand Police Facebook page read: “Today we said farewell to our friend and colleague, Wellington Police Dog Gazza. 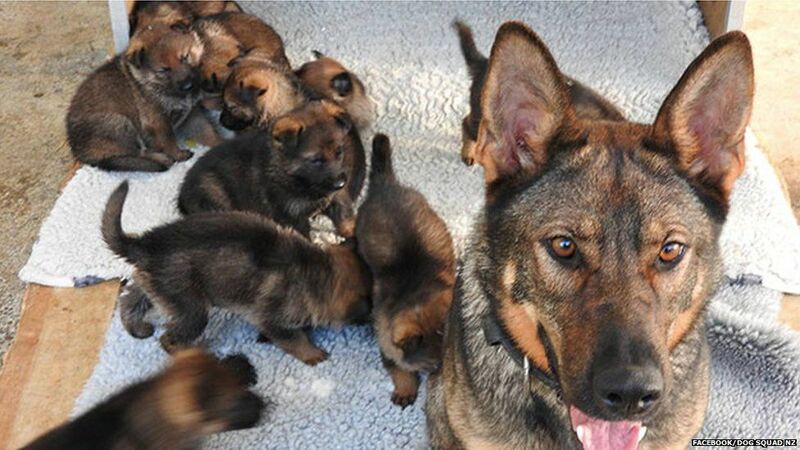 Gazza’s police dog sister, Gypsy, gave birth to a litter of puppies around a month ago. One of them will replace Gazza. Members of the public in New Zealand are being asked to come up with a name for him, which has to start with the letter K.